Can you use an air pistol or pellet gun for self defense? If I had the choice of an air gun or no weapon…I would naturally choose the air gun. I would chose an air gun over a knife also. But I would much rather have a firearm. Multiple shots from a medium powered air gun will definitely stun an intruder to say the least. If nothing else, it will give you some time to escape and call 911. The ideal target is the face and particularly the eyes. Eye shots will blind the intruder and most likely kill them immediately. Once the brain is penetrated, it’s almost always “Lights Out”. Air guns or pellet guns are limited in power which is why most people say you cannot use one for self defense BUT some have enough power to stop a human if shot placement is correct. A heart or lung shot with most pellet guns is useless however a Temple or Eye shot could be fatal. Steel BB’s traveling at 400-500 fps will penetrate the human eye and hit the brain. A temple shot will most likely hit the brain also resulting in a stunned, disabled or dead target. If you look at some gelatin air gun penetration tests, you will see that pellets and BB’s will penetrate about 5-6 inches. That much penetration in the human brain will be fatal or serious paralysis. Some pellet guns can penetrate 1/4″ plywood. There are a few considerations to think about when choosing a pellet gun for self defense. Ideally you want multiple shots in a semi or fully auto mode. The size of the gun is up to you but smaller is handier and easier to bring into action. 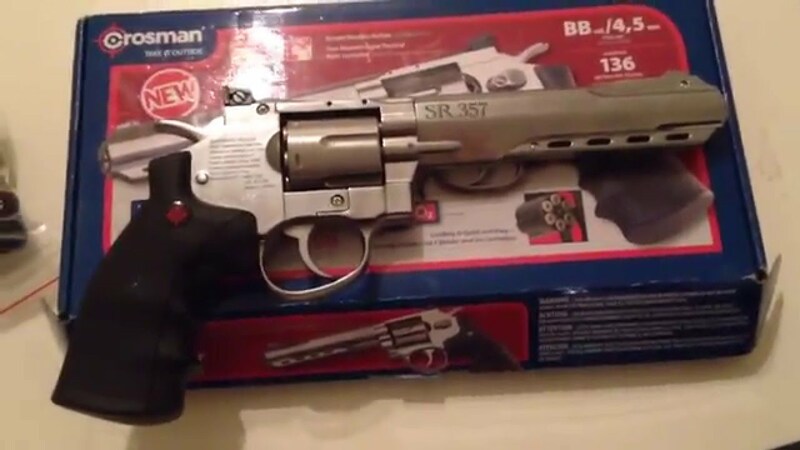 More powerful air guns are better but you have to also consider if they are multi-shot and semi-auto. 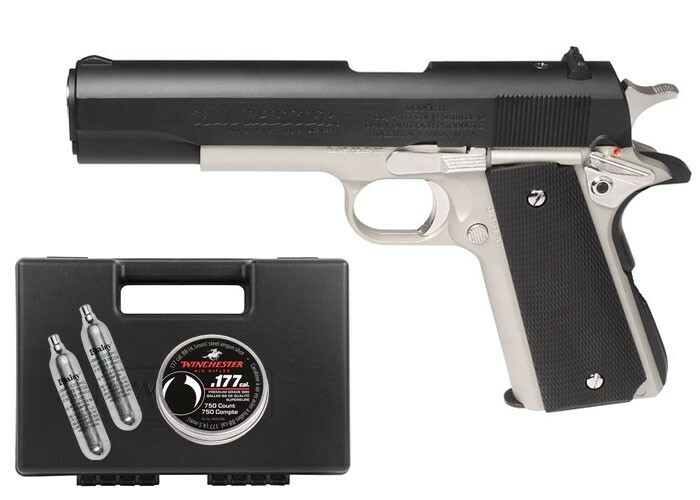 A break barrel air gun might not be the best choice since you will only have one shot. Break barrel pellet guns have enough power to easily stop an intruder with a single shot. But do you want to bet your life on that one shot? I prefer to have 4 or 5 + shots available in short order. So what type of air gun is best for self defense? Let’s look at pump air guns. 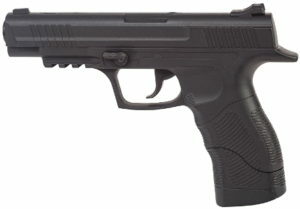 Pump air guns certainly have the power to stop a human and are available in .177 and .22 calibers. They shoot steel BBs and lead pellets which are great ammunition against soft targets. BUT they are a SLOW 2nd and 3rd shot. You have to pump them 10 times and then load a pellet or BB. This takes too long in the heat of the moment. If your 1st shot does not stop the threat, you may be in for some hand to hand combat real quick or dead if the threat has a gun. Break barrel guns fall into the same category as the pump guns. Break barrels are slow to reload but do have plenty of power. PCP or Pre-charged Pneumatic guns are a little faster to reload than pump guns and break barrels but are basically a single shot gun. A 2nd shot will not be as fast as you would like. 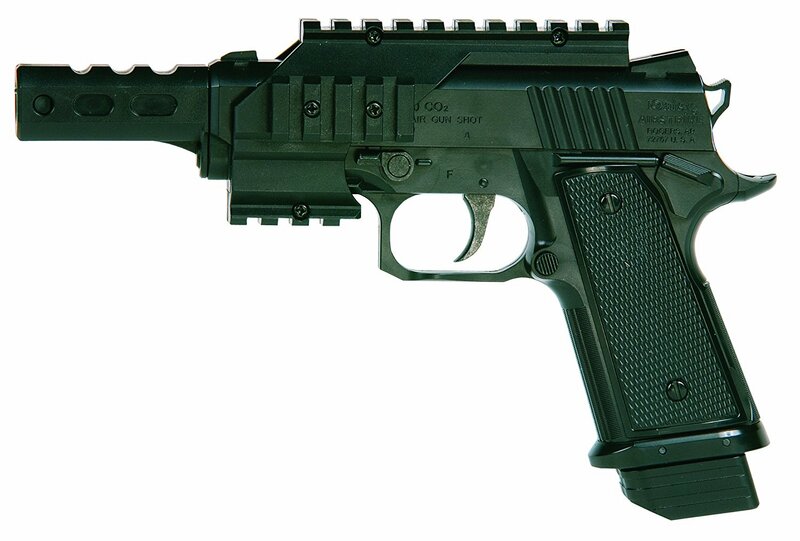 PCP guns are however very powerful and available in calibers up to 12 gauge. CO2 guns are just about ideal for self defense with the exception of power. If CO2 air guns had velocities of 800 fps, they would be perfect. Most CO2 air guns are in the 400-500 fps range with .177 BBs or pellets. 450 fps will provide about 3-4 inches or so of penetration in ballistic gelatin. This is ample to penetrate the human brain with an accurate shot. Small game are easily dispatched with a BB or .177 pellet at 450 fps. And the advantage of multiple rapid fire shots can really “put the brakes” on a would be intruder. 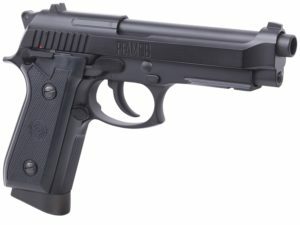 So what are the best air pistols for self defense? Here is why I would choose one of these for self defense. They are the most powerful air pistols and offer multiple shots with the pull of the trigger. These 4 are also very reliable and well made. To make these ever more formidable would be to add a laser sight. This makes it very easy to make a fast and accurate/lethal shot. The same requirements go for air rifles for self defense. They must be a multi-shot semi or fully auto BB gun and be powerful enough to penetrate the human skull. Let’s look at some good semi-auto CO2 air rifles with multi-shot capabilities. I’m looking for velocities of 400 + fps. Sig Sauer MPX ASP CO2 Airgun – 30 round magazine, .177 pellets, short assault type air gun, up to 700 fps with hyper-velocity alloy pellets, semi auto platform. Crosman Comrade AK CO2 Air Gun – 22 round magazine, short assault type air gun, up to 600 fps with BBs and semi auto operation. Crosman RepeatAir 1077 CO2 Air Gun – 12 sot rotary pellet clip, compact traditional rifle style, up to 625 fps with hyper-velocity lead pellets, semi-auto operation. This entry was posted in Self Defense by admin. Bookmark the permalink.